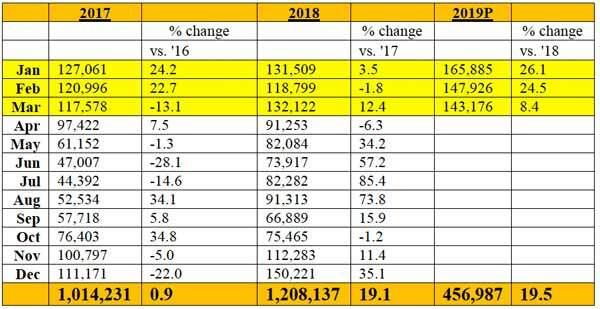 The latest statistics for the first quarter of this year show an impressive and persistent growth in both overnight and cruise ship arrivals to Belize predicting yet another bumper-crop year for the tourism industry. The following is a breakdown of the latest figures for the first quarter of 2019 for both overnight and cruise ship arrivals. Overnight arrivals to Belize increased by 6.6% in March 2019. The number of overnight visitors in March 2019 was just short of 58,000 persons. This is an all-time high for visitor arrivals in March as well as any other previous month. The month of March 2019, marked the 28th consecutive month of year over year monthly increases for visitor arrivals to Belize. 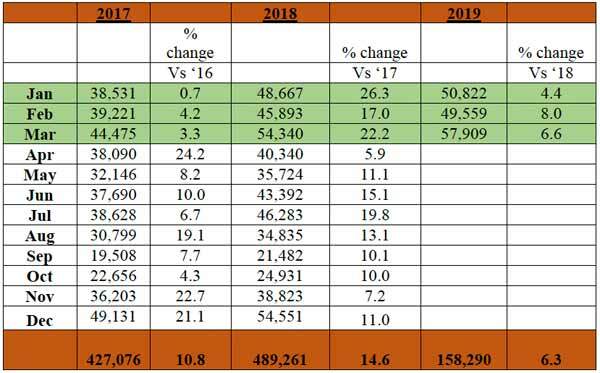 There was a cumulative increase of 6.3% in visitor arrivals through the first quarter of 2019, compared to the same period last year. In March 2019, cruise passenger arrivals totalled over 143,000 visitors. This represented a 8.4% increase or over 11,000 more visitors than that of the previous year. Total cruise ship calls were 45 for this month. At the end of the first quarter, cruise passenger arrivals experienced a 19.5% increase. Arrivals for 2019, include visitors from both Belize City and Harvest Caye Seaports.